Stratfor e-mails released by WikiLeaks regarding 9-11, the Iraq invasion and other events include the name Mary Jo Pullen Hughes, who was being tried for telephone harassment due to the volume of her phone calls to high-level American officials. She has been battling for the truth to be told about Vietnam POWs and has been battling for their rights. Ms. Hughes claims her efforts delayed the invasion of Iraq, something that was pre-planned, by 7 months. The VOR’s John Robles decided to track her down and ask her about what she says is persecution for trying to get to the truth. Hello! This is John Robles, I’m speaking with Mary Jo Pullen Hughes. She was the subject of several Stratfor emails that were released by WikiLeaks and is a longtime whistleblower. Robles: Hello Mary! How are you? I’m doing just fine John, thank you for calling. Robles: Thanks for agreeing to speak with me. I understand that the persecution of yourself by the US Government is continuing and it has gone to new levels as a whistleblower. Can you tell our listeners a little bit about your case and what is going on? Hughes: Well, I had asked for years, starting as far back as 1988, to have the question of the late return of POWs looked into by my Government, when John Kerry, Senator John Kerry and Senator Bob Smith from New Hampshire were co-chairs at the POW\MIA Senate Select Committee. In real time with Mr. Kerry now being the Secretary of State this implicates him in the highest of crimes when the truth wasn’t told about men brought home. I have documented this material now almost for 25 years. Recently I was arrested in 2009 for telephone harassment. I filed a federal lawsuit in US District Court in Portland, Oregon. And as of last Friday the judge has determined that the defendants in the case were justified in arresting me and therefore the federal lawsuit is being dismissed. The nightmare of this is that not only has the Legislative Branch of my government has been proven to be broken, but the Executive Branch now, with the inclusion of John Kerry and John Brennan, as CIA Director who worked for Buzzy Krongard and Chuck Hagel as Secretary of Defense who had access to this material pre-September 11, and that’s all outlined in this memo how the POW issue ties into September 11th, now proves that the Executive Branch of my Government is taken and broken and the Judicial Branch of my Government is totally broken now too. Robles: Can you tell us about that connection between the POW issue and September 11 very quick? Hughes: The POW question tie into September 11 is that after 13 years of my saying; “Please talk and tell”, including a time in Canada on a political asylum claim. Men with Black Operations/Covert Ops backgrounds in this country, silenced on behalf of the power elite, after 14 years, not addressing the question, went silence and allowed the attacks to happen. And I will tell you John, in 1984, an active duty military man was sent to assassinate me in Denver, Colorado. I recently tracked down his son who confirmed to me that the man, his father, is still alive and well. I know where to find the man who my Government said: “Come and kill her”. This isn’t funny when I personally dealt with a man who was tasked by somebody in my Government and was sent to assassinate me. Initially in the 70s, I was married to someone who was onboard of fast attack nuclear submarine in the 70s, the USS Flying Fish out of Norfolk, Virginia, who had a TS SBI5 because he was a radioman, he had Crypto Access. I did active duty service for just over four years, late 70s early 80s, working with F-15 pilots, fairly new to F-15 at Langley Air Force Base. And then I was at Nellis AFB. I had a husband at the time who worked in Area 51 in the early 80s on the Stealth Fighter Project. And as a military wife I was down in Panama, during the Grenada invasion. I’ve had special access not only personally, but through other people to a community of men who are Delta, Seal, Marine, Recon(ers), etc who understand that policies and procedures, have misused and abused them for decades going back to Vietnam. Robles: I know there are a lot of secret connections between the Air Force and 9-11. Can you tell us about anything you know? Hughes: Silence was met with silence. What really bands everything I’ve just done a report on the WACs. I talked to Andrew Bacevich today, sent him everything that I have sent to you. And one thing they keep getting wrong after 10 years today when they went into Iraq, is that there was a preemption that was stopped at end of August 2002. I personally had put together the human intelligence work in Washington DC that they had a large constituency of our military in the country of Eritrea pre-emptively to go to strike against Iraq at the end of August 2002. By going to the Belarus Embassy and sharing that information with the military attaché at Belarus and calling the French and Germans and telling the Iraqis. We were able, as a knowledgeable group of people, to make people leave Eritrea and come home. And it was seven months later before we went in. Now that we have spent, as a nation, $2.2 trillion and about 200,000 dead. The real truth is: we need to know that this preemption was going and it was stopped. No men know, but unfortunately a decade later we are still not telling the truth. Much like with the Gulf Tonkin. We’re not saying that it was faked until 35 years later. We can’t speak 35 year later to tell the truth. Robles: You said you organized the HUMIT, the human intelligence. Can you give us a couple more details about that? Hughes: By the time I put human intelligence together the Belarus Government, the French, Germans, Iraqis, other people were able to confirm that our military was in Eritrea. But I had put it together and then I share, I mean I have always been somebody who understands that this isn’t about Communism, Democracy, Republican, Democrat, Muslim, Jew or Christian. This is about: we’ve got to do better to stop this constant warfare. It is like with Syria and North Korea. Yes, we cannot keep having people in positions with power and money destabilizing parts of the world where we’ve got the whole global community at high risk. Robles: Can you tell us a little bit about what the US Government has done to you personally? Hughes: I have two senators, one is on the Senate Intelligence Committee Ron Wyden who I have spoken with personally, asked his office for help, with Jeff Merkley and his office, who I’ve asked for help and talked to him. And Earl Blumenauer as my congressman. I’m a registered Democrat. I have three congressional members who are Democrats and who will do nothing to speak with me or deal with me. I have been marginalized by my Government. Now, when my Government works after they sent someone to assassinate me, then marginalize me by lying about a DNA provable mental illness, also now throw out a federal lawsuit and tell the world that it was terribly okay for people to come and arrest me for telephone harassment when I was simply going to Susan Rice our Ambassador to the UN, then Secretary of Defense Gates and Eric Holder to say, look, we have a problem. I deal with staff under them, I understand working in the chain of command from the bottom up. But then when you finally have to go to the persons themselves directly, I go to them because I know this is a serious business. This isn’t about me, this is about all sorts of people at this point who have been hurt in this country, American Service Personnel who know the truth but can’t say it. Updated: September 14, 2012 Added part of a letter from Mary, in which she clarified some of the statements I made. 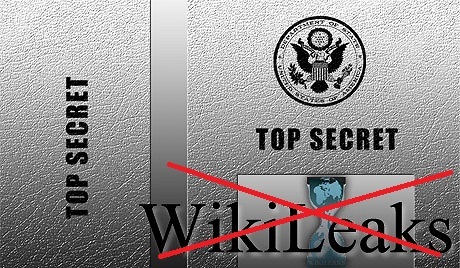 The Stratfor e-mails released by Wikileaks contain references and material regarding a lady who appears to be on a mission of global significance; to stop wars and prevent people from dying in US wars of aggression. Her methods are unusual but perhaps effective. This is part of an investigative report on the subject. The Stratfor e-mails, released by the site Wikileaks, contain many references to an individual named Mary Pullen Huges. The reason her name caught my eye was because of some of the claims she makes in her e-mails and her access to the home phone numbers, cell phone numbers and addresses of very influential and top government officials. According to press reports and open source information available on-line Miss Pullen Hughes has made over 75,000 phone calls to U.S. Government officials over the last 20 years. In the Stratfor e-mails there is a message from Solomon Foshko to Fred Burton where Mr. Foshko calls Miss Pullen Huges a “spook”, meaning an intelligence operative, and states that Mr. Burton should be able to determine this fact. One might ascertain that Mr. Burton has close connections to the CIA or the intelligence community, which means Stratfor is much more than it seems. In the e-mails Ms. Pullen Hughes speaks openly about a US invasion of Venezuela and of many other things including POWs, Israel attacking Iran and the Iraq war, some of the things she says sound far-fetched but others sound as if she has inside information. From what I was able to learn over the internet was that Miss Pullen Hughes has been engaged in a campaign to prevent a global war. Something I think we can all support, and her efforts, in particular with US POWs even brought about a US Senate investigation. Miss Pullen Hughes also has access to phone numbers and the personal contact information of almost any official she apparently wants, including top CIA officials. According one of the Stratfor e-mails Miss Pullen Hughes takes on an issue or what she feels to be intelligence and then calls people like Admiral Mike Mullen and “foreign” governments and then sends details of her contact to everyone she can. I asked her about these claims and she told me she had never had a top secret clearance or access to secret information. Although she claims to have worked for the Air Force in a position requiring secret clearance and her ex-husband worked at Area 51. So did she or not have access? Among her claims Miss Pullen Hughes says she delayed the invasion of Iraq for approximately half a year, she also says that the “Black Ops Community” allowed 9-11 to happen. Her extensive claims against what she calls the “Black Ops Community” range from complete failure to protect US interests and citizens to mismanagement to the outright assassination of hundreds of POWs, in particular those involved in what she calls “Operation Desert One”. Facts she claims to have discovered regarding US troop build ups in Eritrea were behind her claim that the invasion of Iraq was delayed because of this. She claims to have informed foreign governments of the fact including the Military Attache from the Embassy of the Republic of Belarus Colonel Aleksandr V. Korbut. I was interested mainly in finding out what she knew of an attack on Venezuela to remove President Chavez and control their oil so I decided to call Miss Pullen Hughes myself and ask her. She does not give interviews she said but agreed to speak with me. We began our conversation with her informing me that she had called the FBI and told them that she was in contact with a Russian journalist. I then spoke to her for 45 minutes and she had a lot to say, hardly allowing me to get a word in edgewise. Whether or not her information is classified or not one thing was clear, she is a woman with a mission, and that mission appears to be preventing more war. E-Mails from Mary Jo Pullen Hughes regarding this article that she asked me to publish. I had had a long day when I sent my last email and this morning I did a "proof read" and below are (hopefully) the final edits. I really don't like not getting it right. I do appreciate your patience with me in this regard. "We began our conversation with her informing me that she had called the FBI. . ."
From your original write-up the following needs to be clarified. "I did call the offices of my Senators Wyden and Merkley and my Congressman Blumenauer as well as a retired FBI agent in the Portland, Oregon area to inform all of them that I had been contacted by a Russian reporter from Moscow and would be doing a telephone interview with him." The bolded indicates the edits than need to be made in yesterdays email. "A midshipman at Annapolis in November 2003" should be corrected to 2002. It was the next Military Attache that came on after him who I met with at the Belarus Embassy and told him what I knew about the US planning to preemptively attack Iraq at the end of August 2003. It was only after meeting with Colonel Korbut that I figured out months later (delete the with) the close connection between Russia and Belarus and that I was in all probability vetted as to credibility or I would not have be cordially received repeatedly at the Embassy for coffee, cookies and conversation or that my telephone calls were taken. There were a couple of things in your written piece that I need to clarify/correct for the record. Please see below. "I asked her about these claims and she told me she had never had a top secret clearance or access to secret information. Although she claims to have worked for the Air Force in a position requiring secret clearance and her ex-husband worked at Area 51. So did she or not have access?" I never held a clearance on active duty in the US Air Force higher than Secret and was only PRP (Personal Reliability Program) certified when I was working with the Security Police at Area II because there "may" have been nuclear weapons stored there. While working for F-15 pilots at the 27 Tactical Fighter Squadron, Langley AFB, VA, I was handling and typing Secret reports. The majority of my classified knowledge that I have shared over the years came after I left the US Air Force and has been done the "old fashioned way." I actually speak with numerous people; some who are military, lawyers, and government officials as well a from foreign governments. It is called doing human intelligence work and something that has been lost in today's focus on technology. Yes, I have been exposed to much more human intelligence than an average American citizen because of where I have been and who I have known. I have a "do ask, do tell" policy in sharing human intelligence and I am always amazed how much people are willing to share when asked or given the ability to confirm a piece of knowledge/intelligence I have already put together. i.e., the information about American military in Eritrea for a preemptive strike against Iraq at the end of August 2002. I spoke with American Jews who knew Israel was preparing for our attack by preparing Israelis if there was a retaliatory strike against Israel. Former citizens of Eritrea who lived and worked in Washington, D.C. and still had family ties to Eritrea where aware the US military was there. A midshipman at Annapolis in November 2003 2002 confirmed he knew because his Navy father was working intelligence in the region had spoken to him about the military being in Eritrea. A retired senior enlisted Marine as recently as last year confirmed he was sending fellow Marines to Eritrea. It is like putting together a 1000 piece jigsaw puzzle over decades but in the end all the pieces fit and the tapestry of truth is told individual by individual as the stories are consistent year after year. What I do is work the puzzle pieces (tidbits of individual truth) and put them together until there is irrefutable evidence that such and allegation is now a reality. What no one seems to do any more is that kind of intelligence work or even go back and see if what I have done is real. And we wonder why a decade of war with Iraq, that now has been publicly stated that it was predicated on false intel, and no one is being held accountable for the untold dead, wounded, disruption of lives - both American and Iraqi - it's as if the world does not understand that the past has to be cleaned up with truth, we have to learn from such cleaning up, or we are doomed to repeat and repeat and repeat. All hope is lost if this is how we choose to go forward. ". . . and her efforts, in particular with US POWs even brought about a US Senate investigation." This part of the statement is not accurate. As I said in my interview, once the Helms/Grassley investigation began, I contacted them with what I knew about a return of POWs in 1984-1985. It was not wanted or worked with by them and was again rebuffed by the special committee in 1992. However, it is on the record that I tried before other more tragic consequences followed because the truth was not told. Please reference the materials I sent you for the "fleshed out" part of this. Only roughly 70 of the remaining POWs that were left alive in 1996 were killed in VA hospitals to keep the secret of their return. The other approximately 200 had died over time from when they were returned in 1984-1985. I do not know the code name for this operations but if there was a reference to the failed Desert One operation that would be separate and apart from the POW matter. The failed Desert One operation was the attempt to rescue Americans held hostage in Iran at the tail end of Mr. Carter's presidency. Please again refer to the Memorandum for accuracy on this issue.
" . . . informed foreign governments of the fact including the Military Attache from the Embassy of the Republic of Belarus Colonel Aleksandr V. Korbut." Colonel Korbut and I met at the Belarus Embassy before I knew of US military in Eritrea. I had shared my work on the POW issue with him. It was the next Military Attache that came on after him who I met with at the Belarus Embassy and told him what I knew about the US planning to preemptively attach Iraq at the end of August 2002. It was only after meeting with Colonel Korbut, that I figured out months later with the close connection between Russia and Belarus and that I was in all probability vetted as to credibility or I would not have be cordially received repeatedly at the Embassy for coffee, cookies and conversation or that my telephone calls were taken. "I then spoke to her for 45 minutes and she had a lot to say, hardly allowing me to get a word in edgewise." I want to thank you for taking more time with me than you had planned. It is incredibly frustrating for me to have to compact in some coherent way 24 years of work. I apologize that I was long winded but I do want you to know that if you would like to speak with me again or as questions via email, I am open to keeping the conversation going. In the late 1970's, I was a Navy wife with a husband who was aboard the USS Flying Fish SSN 673, a fast attack submarine based in Norfolk, VA. He was a radioman with a TS SBI5 (Crypto Clearance). http://en.wikipedia.org/wiki/USS_Flying_Fish_(SSN-673) and http://www.hullnumber.com/SSN-673 I was ombudsman for the submarine and was very aware of the submarine patrolling the area close to Murmansk as well as other deployments in the north Atlantic, North Pole and Mediterranean. I did not believe that the submarine had hit a whale (what was told to have happened) when it came into port with a major dent in the conning tower. I entered the US Air Force on active duty June 1979 and my first duty assignment was as a 70250C. See attached copy of my DD214. My first duty assignment was with the 27 Tactical Fighter Squadron, Langley AFB, Virginia. I was support staff for pilots that were flying the fairly new F-15. I had a secret clearance and handled and composed classified documents. I then was transferred to First TAC Fighter Wing Headquarters and worked for the Director of Operations. After meeting and marrying George Russell Leard (who was working at Det 3, Pittman Station (referred to as Area 51), I was assigned to the Security Police Squadron in Area II (the second largest weapons storage facility for the US at the time), Nellis AFB, and was PRP certified with a Secret clearance. I ended my military career at Nellis AFB, Nevada. However, as an military spouse, I was at Howard AFB, Panama, during the Grenada invasion. It has been for me about being in the right place at the right time to be exposed and know people who have very special military backgrounds. A "special" friend of mine made this assessment regarding my intelligence profile. "You have a scatter gun approach to intelligence work." In follow-up to that, another comment was, "You know how to connect the dots." I do not and have never had any classified documents in my possession. I do have much classified knowledge (that I have very carefully vetted over 24 years) in my head and you have emails that document what has been shared with official US agencies and foreign governments.